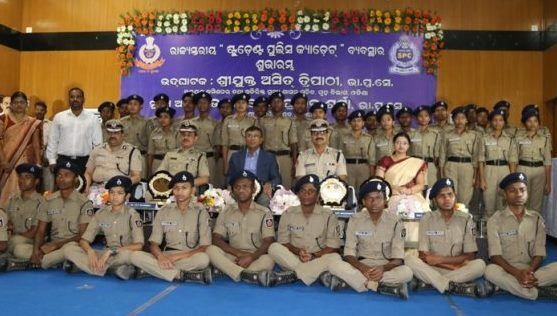 Bhubaneswar: Odisha Police on Thursday launched the Student Police Cadet (SPC) Scheme here. Development Commissioner Asit Kumar Tripathy inaugurated the state-wide launching programme from Capital High School premises here in the presence of DGP RP Sharma and senior police officials. Sharma said that the SPC scheme would help the students better appreciate the role, constraints and arduous nature of police work in addition to educating them about disciplines and sense of responsibility. It would also help teaching them about team spirit, increased respect for law, gender equality and maintenance of safe environment, he added. The SPC scheme is a two year programme meant for students of 8th and 9th class with strength of 44 students in each school including 50% girl students. 40 schools of Central as well as State run schools have been identified for implementation of the scheme. The scheme will be implemented in 33 state run schools and seven Central Schools. It will be extended to other schools in the State in a phased manner in future as per the decision of State government.